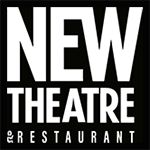 Our Day Tour to New Theatre Restaurant in Kansas City is our favorite food and theatre experience. The Musical "Joseph and the Amazing Technicolor Dreamcoat" is based on the "Coat of Man Colors" story from The Bible's Book of Genesis. Wonderful lunch and the optional dessert is available for your purchase. Trip cost includes transportation, lunch and show.